A co-production with American Documentary | POV, INDEPENDENT TELEVISION SERVICE (ITVS), and SWR in collaboration with ARTE, 93QUEEN follows RACHEL “RUCHIE” FREIER, a no-nonsense Hasidic lawyer and mother of six who is determined to shake up the “boys club” in her Hasidic community by creating Ezras Nashim, the first all-female ambulance corps in NYC. So as to take down Ruchie (and, thus, Ezras Nashim) once and for all, Hatzolah joined forces with Brooklyn Democratic Party machine allies to put up a male Hasidic candidate to run against Ruchie. After a hard-fought and contentious election, Ruchie won the judgeship with 44% of the vote—becoming the first Hasidic woman elected to office in the United States. 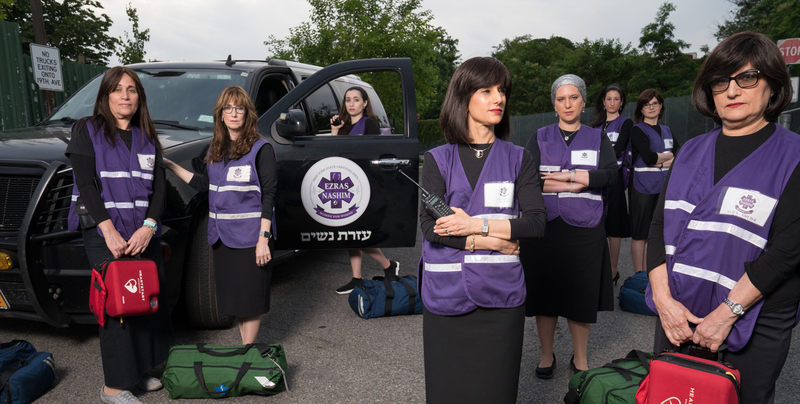 Through it all, we see Ruchie & Co. grappling to balance their faith with their nascent feminism, even as they are confronted by the patriarchal attitudes that so dominate Hasidic society. As Ruchie observes, while making dinner at 3 a.m. after a long Ezras Nashim shift, “I sometimes wonder why God created me a woman. If I’d have been born a Hasidic man, I don’t think I would have half the problems I have.